A Distributed Denial of Service (DDoS) attack is when an overwhelming level of traffic is purposely channelled to an online service resulting in negative performance. They are becoming more and more commonplace, and worryingly more and more sophisticated. 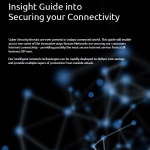 This means there has never been a more relevant time to protect your networks. DDoS attacks use a network of botnets, which are infected computers to launch attacks against any target. Once infected, these botnets will try to overwhelm targets by sending high volumes of connection requests or random data. A DDoS attack that can take down a small company for a week can be purchased for just $150. Using our peering partners, our DDoS Protection is able to route traffic through specific routes so that all inbound traffic gets “scrubbed” meaning that a customer can stay online during attacks. Scrubbing takes place in a scrubbing centre where traffic is analysed with malicious traffic being removed. When the traffic is analysed the attack traffic will be filtered out while clean traffic will be passed on for delivery. Let’s say that Ed Sheeran has just announced his new tour and tickets are available through an online merchant. Millions of people want these tickets and login to the relevant website. This influx of traffic overwhelms the website's servers, causing it to “crash” meaning fans cannot buy tickets, hurting the reputation of the merchant. Now whilst this isn’t a DDoS attack as the influx of traffic is organic, it gives a representation of how a sudden increase in traffic can bring down an online service. Ready to use solution Keep you online at all times, we won’t black hole you. Ability to detect attacks from anywhere on the network. WHO SHOULD USE DDoS PROTECTION? Anyone who has internet facing and dependent systems.